A large rhombus pattern using gold leaf, a painted music score, and acrylic colors are used here. A thin relief of gold stucco separates different areas. 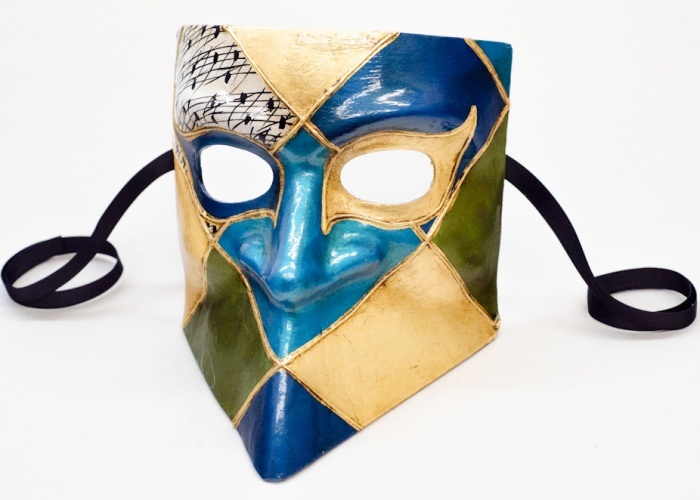 The Bauta 'Federica 2' is a perfect Venetian mask for original-looking carnival costumes.